When starting out in real estate rental investments, a portfolio should include two main types of properties: single-unit properties, or multi-unit properties. 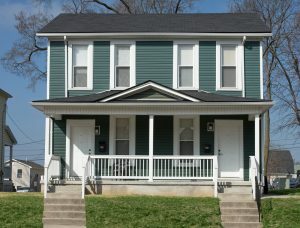 Multi-unit properties qualify as any type of property that has more than one unit that must rented out. While there are many advantages to renting out single-unit properties, multi-unit properties drastically raise the ceiling on your earning potential. Reduces Risk: You don’t lose all of your income from your property if a unit is vacant for a month, so the risk is spread across multiple units. Easier to Purchase: If you want to grow your portfolio with multiple single-unit properties, then you are going to have to purchase many, many properties. Multi-unit properties enable you to get more units for just one purchase. More Cash Flow: Operating costs and profits are easier to grow when you are collecting rent from multiple tenants, since it increases your cash flow and reduces its fluctuation. Easy to Fill: Because units in a multi-unit property are typically more affordable than single-unit properties, there is always a demand for them, which makes them fairly easy to fill. High Appreciation: The real estate rental market is always beholden to market forces, but multi-unit properties can benefit from forced appreciation by adding amenities that increase rent across all units. While there are many benefits to owning and renting a multi-unit property, they can also come with their own share of headaches. Tenant requests will happen more frequently and you are more likely to deal with turnover more often, which is problematic, even if that turnover has less of an effect on your profit. Maximize Cash Flow: Property managers can make sure that your rent is reflective of the state of the market, so that you are getting maximum value for each unit. Handle Operating Costs: A property manager can help you budget the operating costs and nest egg for your property, so that your profits remain consistent, even when unexpected problems occur. Fill Units Quickly: Filling a rental property takes time, but a good manager will have experience in filling units quickly with reliable tenants. Handle Tenant Requests: When you have more tenants in separate units, it increases the likelihood that utilities and other amenities will break, which will increase your tenant requests (or complaints). A property manager handles these complaints for you. Less Invested Time: Time is money for an investor, and a property manager ensures that you can collect a maximum return on your money investment, while spending minimal time and stress. Call to Learn More, Today!